Images of Australia tend to focus on Sydney Opera House or the outback. The city on the Indian Ocean often gets overlooked, but if you make Perth a stop on your Australian tour, you'll find it a prosperous and intriguing place. Start at the beach, Cottesloe Beachto be precise. It's a classy strip of sand that doesn't tolerate the vulgarities of the East Coast. Like much of Perth it can seem staidly British at times, even if there might be sharks in these waters. 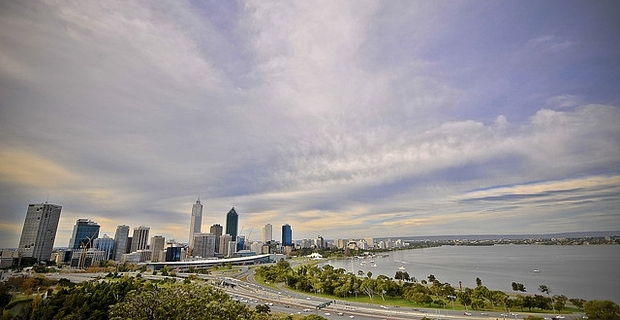 King's Park provides the city's lungs, a lovely enclave of bushland that offers great vantage points over Perth's modest skyscrapers under the hazy sky. Exploring the botanical gardens is a great way to spend a warm Perth afternoon. For nightlife, Perth's younger set heads for the bars and clubs of Northbridge, half a dozen blocks where Perth respectability is forgotten every weekend. Opal and mineral mining have made Perth a boomtown, and occasionally the atmosphere in the bars around the strip can seem like the rowdier saloons during the Gold Rush. For a more bohemian flavour, you need to head to Fremantle, a short ride down the coast. In the 1960s, many of the ships carrying the £10 immigrants made their first Australian stop here, and boat-crazed Brits staggered ashore to make their homes Down Under. These days it is full of alternative entrepreneurs who dominate the lively markets with their crafts, smoothie stalls, aromatherapy and crystal-gazing. If Perth is suburban heaven, Fremantle is a little taste of hip urbanity.